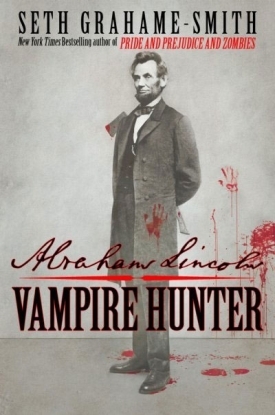 Abraham Lincoln Vampire Hunter: In Timur We Trust. i was just casually browsing the upcoming movie trailers on Youtube when i stumble upon this awesome awesome looking piece. It is a trailer for Abraham Lincoln Vampire Hunter. An adaptation movie from the book of the same name. i was also surprised to see that Timur Bekmambetov at the helm directing. He is the director of Wanted, one of my favourite action movie. To be honest, i am really excited of how the visual style ALVH would turn out to be. i bet it would be no less than AWESOME. Well, did you guys know that the book publisher also did a mock "movie trailer" of some sort to promote the book TWO YEARS prior to this year upcoming movie? Well i have that trailer here too, for you guys to enjoy. i guess that, the people behind this mock trailer would be very much delighted that their "movie" is coming SOON! If you're a book lover like me(i haven't read it yet), you can get that book here. Book available from Hachette Book Group. Abraham Lincoln Vampire Hunter will be in theatres 22nd June 2012.